Simon comes from a family with four fencing masters. He has been fencing since he was seven years old and started to coach at 14. He got his first coaching degree when he was 16. 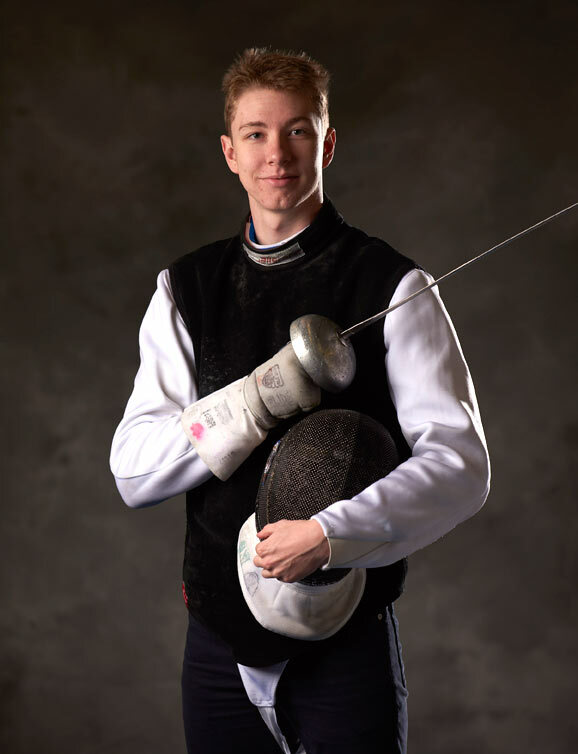 In 2006, at 21, he became the youngest fencing master in France. From 2005 to 2008, he coached in Aix-en-Provence, France and in 2009 he joined the NWFC coaching staff. When he was 17, Simon joined the National Training Center of Aix en Provence. He represented France at several World Cups for three years. Lionel Plumenail was his fencing master. In 2005, he joined Erwann Le Pechoux and Marcel Marcilloux in Aix-en-Provence’s Division 1 Foil Team. 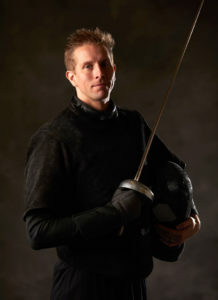 In 2009, he joined the NWFC’s Division 1 Foil Team and won the US National Team Championship. 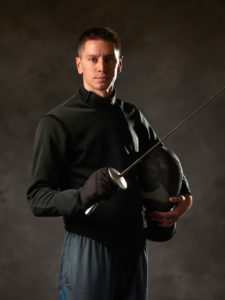 In 2011, he joined the NWFC’s Senior Epee Team and won US National Team Championship. When not fencing, he likes riding his Harley-Davidson motorcycle and he is a very dedicated Star Wars fan. Cody started fencing in 1996 right here at Salle Auriol! He was the US Junior National Champion in epee in both 1998 and 1999. In 2000 he began his coaching career at NWFC as an assistant coach where he started the homeschool youth program, which we still offer today. In 2001 he won the US division 1A and division 1 national championship. In 2004 he took home the silver at the World Cup Grand Prix, which was the first and still the highest finish at a Grand Prix World Cup. In 2005 Cody joined the Army’s world class athlete program. He was an Olympic fencer at the 2004 Athens and 2008 Beijing Games. In 2010 Cody was on the US Men’s Epee team that took the silver medal at the Paris World Championships, which was the first Men’s Fencing World Championship medal. Then in 2012 was on the Men’s Epee team that won the World Championship in Kiev, the first men’s fencing World Championship title in US history. Cody decided to retire from competitive fencing after the 2012 London Olympics, and coach back here in Beaverton. When he isn’t fencing Cody enjoys origami, cycling, playing his guitar, and science fiction. Vince Camillo has always played with swords. When he was 14, he discovered fencing, and reached out to a local retired fencing master to work with him. He even started a fencing club at his junior high. For the next three years, he trained under Maestro Enrico Aiello, an Italian Fencing Master, until he passed away. By this time, Vince knew fencing would be a central part of his life going forward. Vince graduated with a BA in Theatre Arts from San Francisco State University, studying stage acting and movement. Post graduate work included a two year apprenticeship with American Conservatory Theater instructor Gregory Hoffman, with whom Vince studied stage combat. Mr. Camillo has worked as a professional actor, fight choreographer and stunt man in the Bay Area and abroad. Vince started his coaching career in San Francisco, teaching fencing at Mission High School, as well as training students of all ages at his “Panhandle Fencing Club,” which met in Golden Gate Park and ran on donations. Mr. Camillo comes from a family of teachers, and this tradition is apparent in his passionate commitment to his craft. Upon moving to Portland in 2005, Vince began fencing at NWFC, competing and earning his A in epee and his C in foil. Vince received his Maître de Fleuret (Foil Fencing Master) from the United States Fencing Association in 2017. He loves the Pacific Northwest, where he indulges in his passion for mountain biking as often as he possibly can. 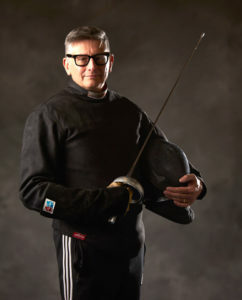 Coach McTigue began his fencing career under the supervision of Hungarian Maestro Csaba Elthes. Later he studied under renowned Russian epee Maestro Albert Chikayev, trainer of multiple world and Olympic champions. He was Michael’s mentor and developed him into a coach as well as a championship winning veteran epee fencer. Coach McTigue was Head Coach of the Montclair High School Fencing Team for 12 years. 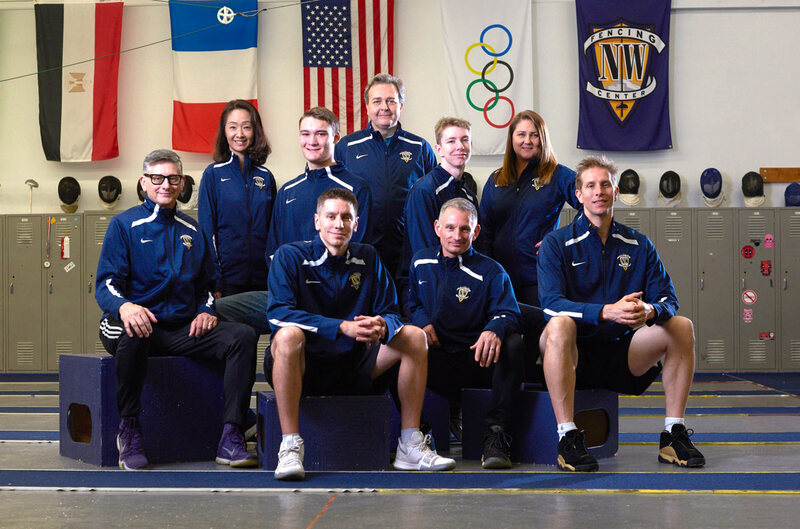 His boys and girls epee squads won four state team championships, two individual championships, and his students have gone on to fence in NCAA team competition at Columbia, Yale, Brandeis, Duke, Penn State, Notre Dame and other notable institutions. He was voted High School Fencing Coach of the Year four times and was given the NJSIAA Lifetime Achievement Award for his contributions to New Jersey high school fencing. The former head coach of Lilov Fencing Academy and Salem Fencing Club, he is pleased to be making the shift to NWFC. Coach McTigue excels at customizing lessons to help fencers build skills and understanding. By teaching his students productive ways to think about fencing their learning continues beyond the lesson into their bouting and workouts. This approach is rewarding for both the recreational and competitive fencer. Michael believes that all fencers should set their goals with the input and support of their coaches and families. This dovetails precisely with the NWFC family approach to developing fencers and the community that we all value so highly. 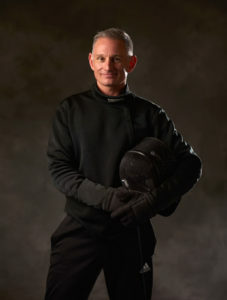 Daniel started fencing in 2009 in Reno, Nevada. He has seven national medals ranging from 2nd place to 7th place. He moved to Portland in 2015 after visiting for a few months. He started coaching by assisting at NWFC in the Youth 1 program in 2016. In 2017 he tested to get his moniteur in both foil and epee. In 2017 he joined the NWFC staff as a youth coach, and has since taken the position of Assistant Epee Coach. He has fenced competitively on the regional, and national circuit since 2011. Although he is currently an epee fencer, he started his fencing career in saber. Outside of fencing, Daniel enjoys reading sci-fi books, jogging and watching movies. Meet the dedicated staff working beyond the fencing strips to keep the center running smoothly. As Executive Director, I oversee club administration, programs and strategic planning with the staff and Board of Directors. NWFC is blessed with phenomenal coaches, remarkable facilities, committed staff, dedicated fencers and involved parents who help in so many areas. My goal is to meet each and every fencer and parent, so please come by and introduce yourself. This is a remarkable place and a rare non-profit fencing club – we are glad you have chosen to join us! Lika specializes in member accounts and leads the services at the front desk. Erin’s focus is on club communications, social media and special events.